Oz Clarke is a prolific writer and endlessly popular both in print and in personal appearances. Breaking new ground with his Webster’s Wine Guide (now published annually as Oz Clarke’s Wine Guide) he has won all the major wine writing awards both in the UK and the USA, including the Glenfiddich (three times), André Simon, Wine Guild (three times), James Beard, Julia Child, World Food Media and Lanson (five times) awards; and in 2006 he won the prestigious International Wine & Spirit Competition International Drinks Communicator of the Year Award. In 1999 he won the Lanson Special Millennium Award for his outstanding contribution to wine communication and education. His TV appearances have made Oz Clarke a household name. The phenomenally successful Oz and James’ Big Wine Adventure, pairing Oz with James May of Top Gear, broadcast on BBC2, was followed by two further series, the most recent of which was shown on BBC 2 on Tuesday nights entitled Oz and James Drink to Britain. 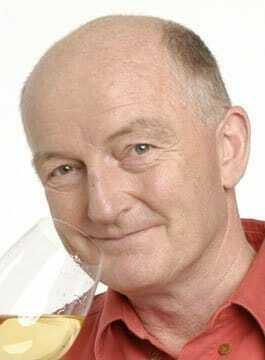 Throughout the year, Oz Clarke hosts wine tastings and is in popular demand at the BBC Good Food Show in Birmingham and The Wine Show in London, which he appears at annually. With such endless acclaim throughout the wine industry, Oz has now developed the Connoisseur range of openers, makers and shakers – drinks related products that bear his name. Oz Clarke lives in West London, where, when not writing about wine, he likes to avoid drinking altogether (except for the occasional pint of Fuller’s ESB), playing any sport he can lay his hands on and dreaming wistfully of lying on a palm-fringed sandy beach somewhere near to the Equator.